TimeTrak recognizes the workplace is a continually changing landscape with mobile employees, 4 day work weeks, flexible hours, shared jobs and more — requiring unique and convenient methods for all employees and managers to interact with their Time Tracking Software. Our Employee Time Tracking Software can be set up with a mix of different technologies such as SMS Texting, iPhone and Android apps with GPS, PIN Entry Terminals, Barcode Badges, RFID Proximity Badges, and even biometric identification using fingerprints. Employee Time Tracking Software automates your scheduling, data collection, exception tracking, calculation of hours, and approval to facilitate quick transfer of accurate hours to payroll. For over thirty-five years TimeTrak Systems has been developing, installing & supporting employee time tracking solutions for businesses of all sizes and industries. TimeTrak provides integrated hardware and software solutions for time tracking, labor distribution, employee scheduling & human resources. 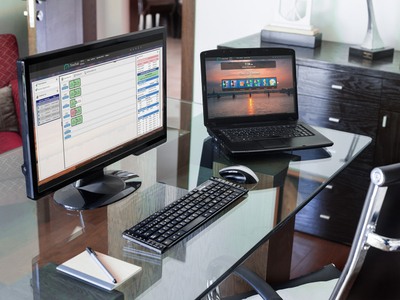 Employees are empowered by using their Desktop PCs to access the time tracking software. Employee Time Tracking Software saves money over traditional time clocks. Employee Time Tracking Software applications automate the collection and reporting of employee hours, exceptions, holidays, benefit accruals, and attendance infractions. Data collection options include physical time clocks such as a fingerprint or badge as well as software-only solutions such as web, pc or mobile time tracking from an iPhone or Android device with GPS location tracking. For over thirty-five years TimeTrak Systems has been developing, installing & supporting employee time tracking software solutions for businesses of all sizes and industries. TimeTrak provides integrated hardware and software solutions for time & attendance, labor distribution, employee scheduling & human resources.